Below you can view all the homes for sale in the Swansea subdivision located in Denver Colorado. Listings in Swansea are updated daily from data we receive from the Denver multiple listing service. To learn more about any of these homes or to receive custom notifications when a new property is listed for sale in Swansea, give us a call at 720-729-2320. Do not Miss this Great Opportunity to Own A Home in Denver! Welcome Home! MLS#6366669. STERLING REAL ESTATE GROUP INC. Tons of potential with the upcoming Central I-70 project, next upcoming neighborhood. 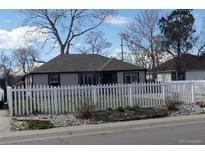 MLS#8917523. CENTURY 21 RECOM REAL ESTATE LLC. Wonderful, enclosed yard with lots of potential, don't miss this one, it won't last! ! MLS#6311312. eXp Realty, LLC. This property is being Sold "AS IS" MLS#7754881. RE/MAX PROFESSIONALS. Broker please read and acknowledge the broker remarks. MLS#2073967. Philt Realty LLC. The potential with this one is LIMITLESS! MLS#8801954. Pieters Realty. Buyer to verify all information presented. MLS#9444618. Worth Clark, Inc.. Fixed up homes in the area selling for much higher. MLS#7256109. MB METRO BROKERS REALTY OASIS. This and other projects will increase neighborhood connectivity, improve water quality, add new park and recreation spaces, as well as provide critical flood protection. 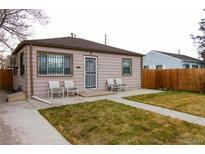 MLS#2020940. HomeSmart Cherry Creek.